Over 40 years ago, Fidia has been the first one introducing the “look ahead” concept: the CNC “looks ahead” the programmed tool path in order to optimize acceleration and velocity of the machine. With ViMill®, this concept has been extended to safety. 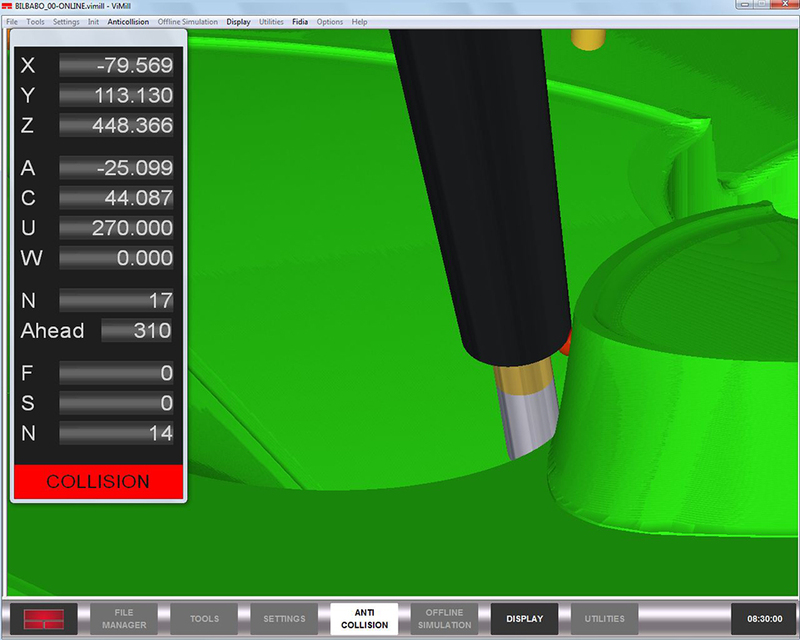 ViMill® is a software package, where the “look ahead” function has evolved to predicting any possible collision for safer machining. 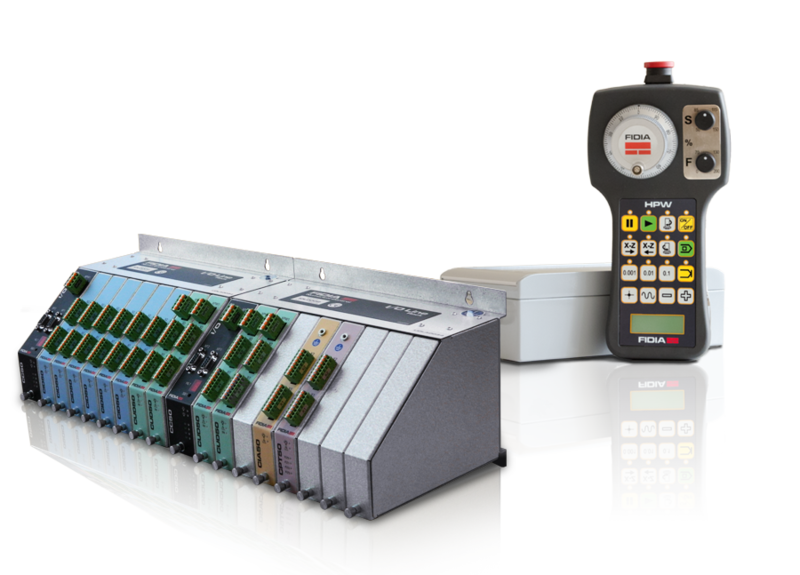 Being totally integrated in the Fidia numerical control, ViMill® can operate full time, covering any working condition of the machine: part program execution, manual data input, tool change cycle, measuring and alignment cycles and manual axis positioning by jog pushbutton or hand-wheel. When ViMill® is running, the Fidia CNC continuously checks out any possible collision between the moving parts of the machine, such as the milling head, tool, rotary table; and the fixed parts, such as the work-piece, clamps or table. Whenever a possible collision is detected, the control puts all the machine axes in the ‘hold’ condition and displays an appropriate message on the screen. The operator can then act accordingly and restart machining. A collision may seriously damage the work piece, fixtures, and overall machine. This in turn causes unexpected expenses and delays, leading to higher costs. Fidia developed ViMill® as the right solution to the problem so potential risks are avoided. Checking the part programs using an offline simulation software avoids executing on the machine files that may include any formal or positioning error, but it cannot grant that the real machining matches exactly the simulation. No simulator can protect your work piece and your machine in case of unpredictable events during machine operation. ViMill® not only informs about collisions due to errors in the part program but also protects the work piece, the fixtures and machine in any unexpected case of mistake, mishandling or incorrect typing during machine operation. ViMill® has been conceived, designed and developed specifically for this purpose. ViMill® is not just a simulator of the process; ViMill® is an online monitor of the process that is watching out for whatever may happen on the machine, stopping the machine no matter what the reason of the collision is. ViMill® can operate either in offline or in online mode. 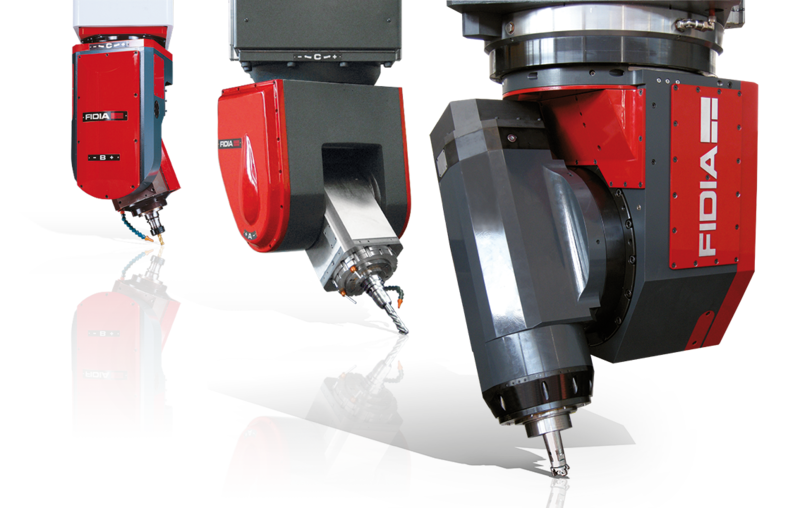 In both cases the models of the machine, the cutting tool and the raw work piece are to be imported on ViMill®. 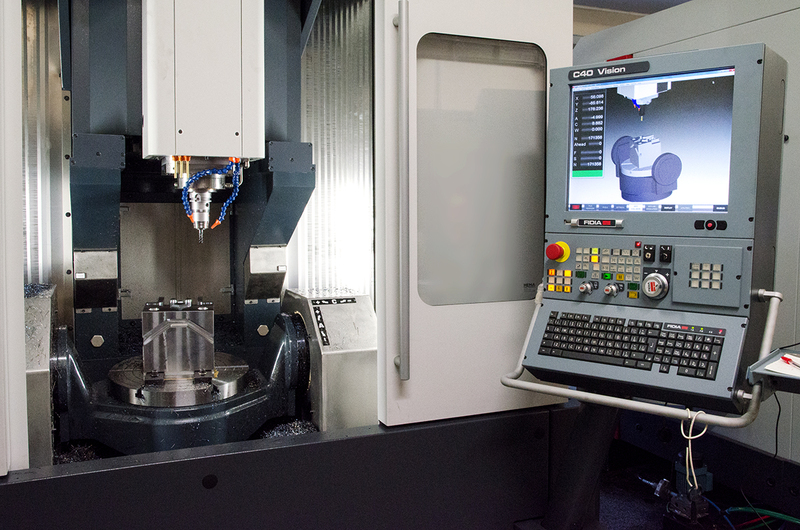 When operating in offline mode, ViMill® simulates the machining, checking the syntax of each block and detecting possible collisions, all this, while the machine is displayed on the screen, showing the progress of the milling. In this way, the user can verify if the part program is consistent with the intended milling process. Offline ViMill® can also be very useful during the feasibility study, helping the operator to find the best positioning of the work piece on the machine and to define the most suitable fixture. Offline ViMill® can work on Fidia control or on a separate computer. 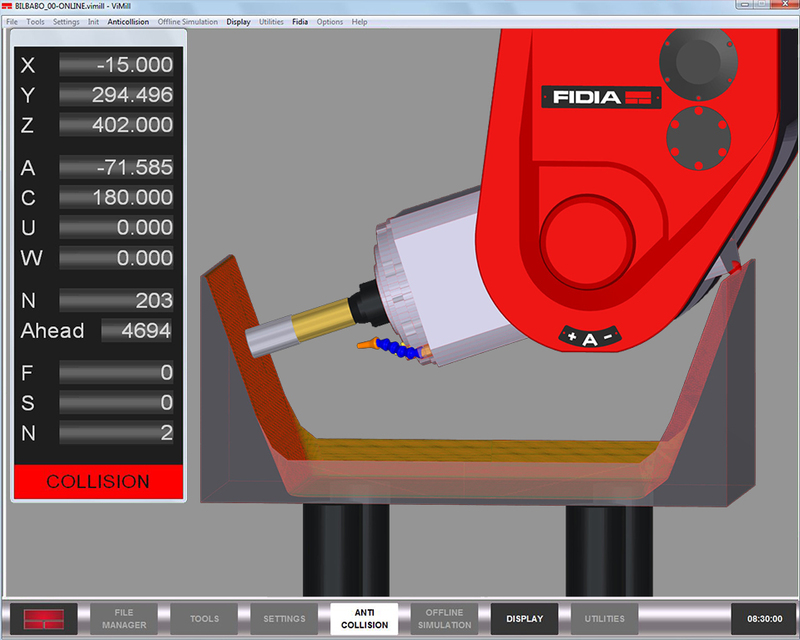 When operating in online mode, ViMill® works on the Fidia control, during the machining. This operating mode makes ViMill® unique and it offers the most interesting benefits to the machine user. While the part program is being executed, online ViMill® checks a suitable number of blocks ahead, so that a possible collision can be detected in advance stopping the machine in time avoiding the collision. 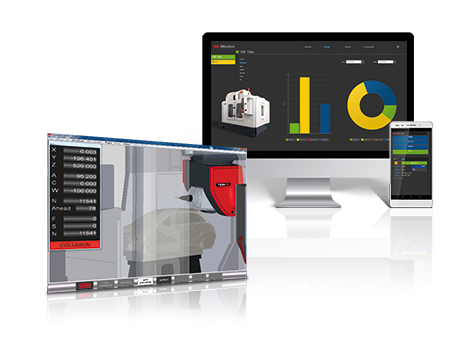 Having direct access to the data of the numerical control, online ViMill® is able to check the next actual positions of the machine. Such positions have been calculated in advance by the numerical control, on the base of the part program and of several milling parameters, such as origin position, offsets, scale factors, rotation angles, tool length, as set by the machine operator. So online ViMill® bases its analysis on the actual machine position and not, as offline simulators do, on theoretical ones. In addition, online ViMill® monitors any movement of the machine controlled by manual data input, jog or hand-wheel. Online ViMill® supervises the milling process, detecting in advance any possible collisions, either due to errors in the part program, misuse of the control or the machine itself. 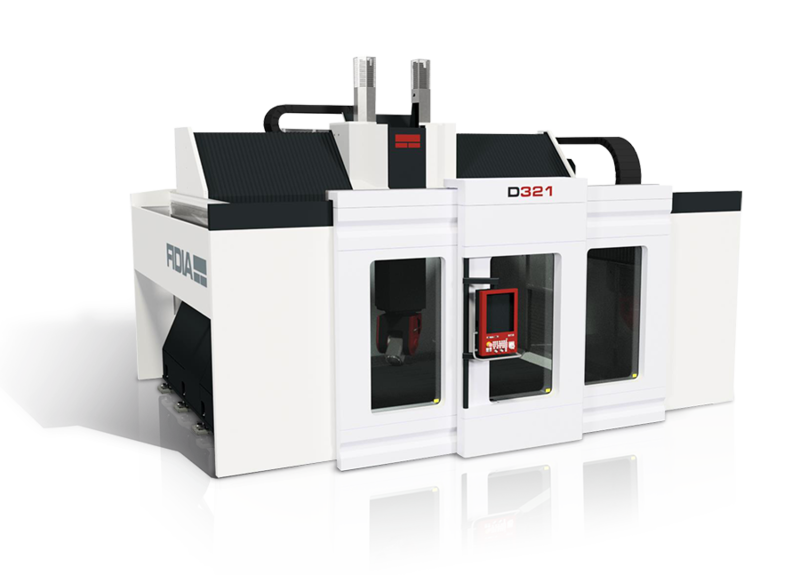 ViMill® can also display running the milling process on the screen of Fidia CNC in accordance to the view position set by the machine operator. Thanks to this function, ViMill® works similar to a video camera, helping the operator to check what the machine is about to do. 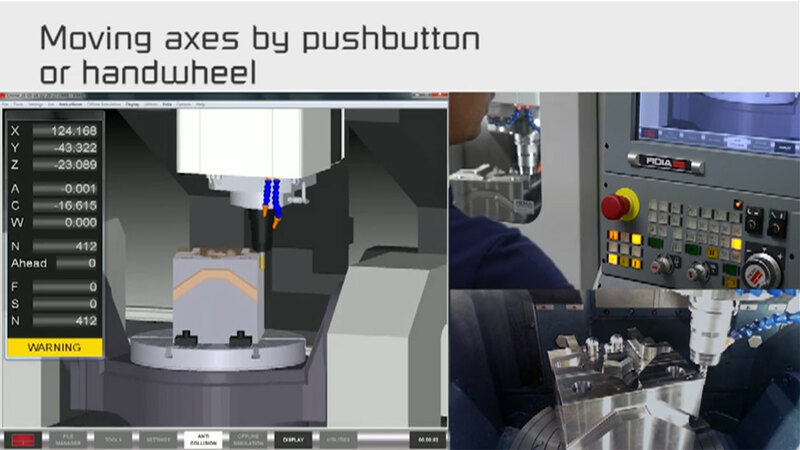 Whatever the reason is, when an unexpected machining stop occurs, the operator must first disengage and then approach properly the restarting point, moving the machine axes by pushbutton or hand wheel: in these cases, being the tool very close to the part, there is a potential risk of collision that ViMill® will prevent. Machining parameters on the CNC, such as scale factors, offsets, rotations, modify the tool path. A mistake made by the operator when setting these parameters may cause a wrong tool path and, consequently, collisions, that ViMill® detects. In case of tool automatic measurement, ViMill® gets the actual sizes from the control, replaces the theoretical ones and uses the actual ones for collision checks. 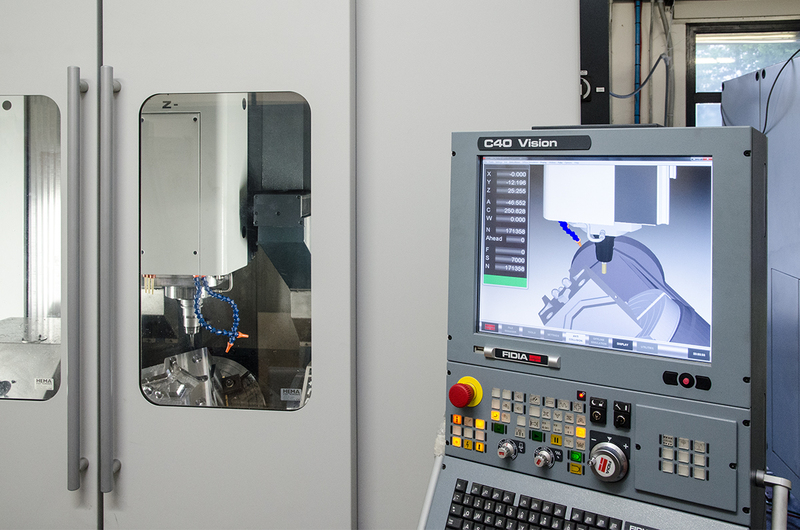 ViMill® is active and protecting the probe also when part measuring cycles are being executed on the milling machine. 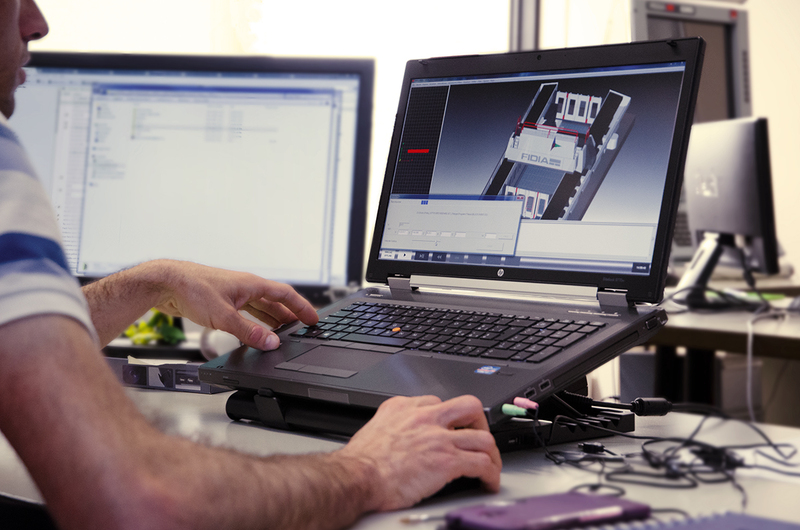 ViMill® checks every movement of the machine, including those manually controlled by pushbutton or hand-wheel, while a simulator software can check only those included in the part program. Cutting tool can be described with simple geometrical data while all other models are intended to be 3D models in STL format. 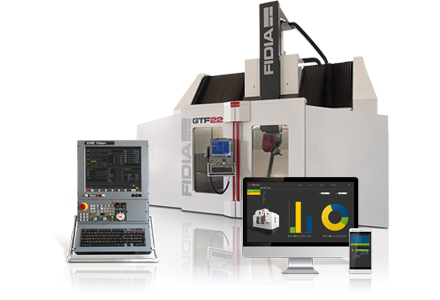 Fidia, provides the machine model together with the machine, the user will then upload all the other models and part programs for each machining. 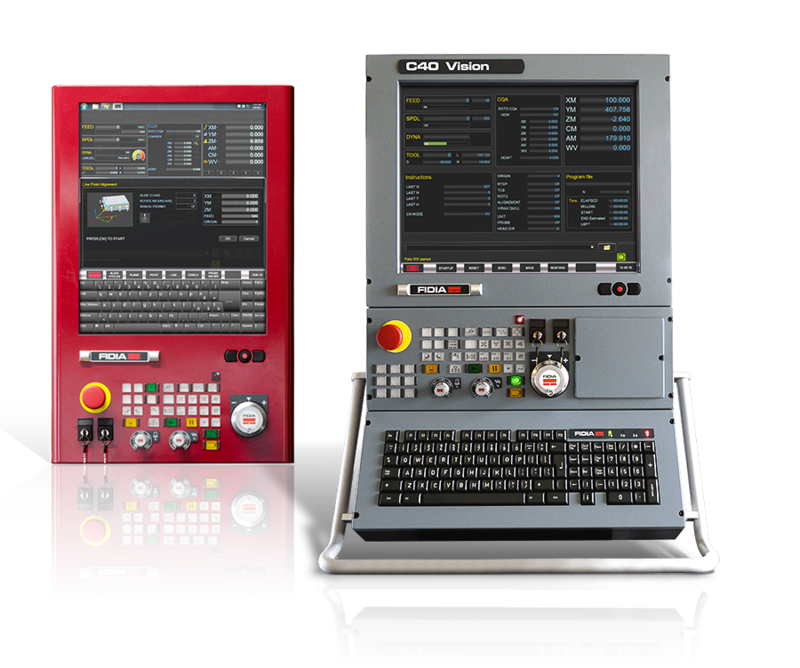 The generation and the upload of these models are significantly simplified by using specific interface software, called ‘plug-in’, connecting ViMill® and the CAD/CAM system used to generate the part programs. 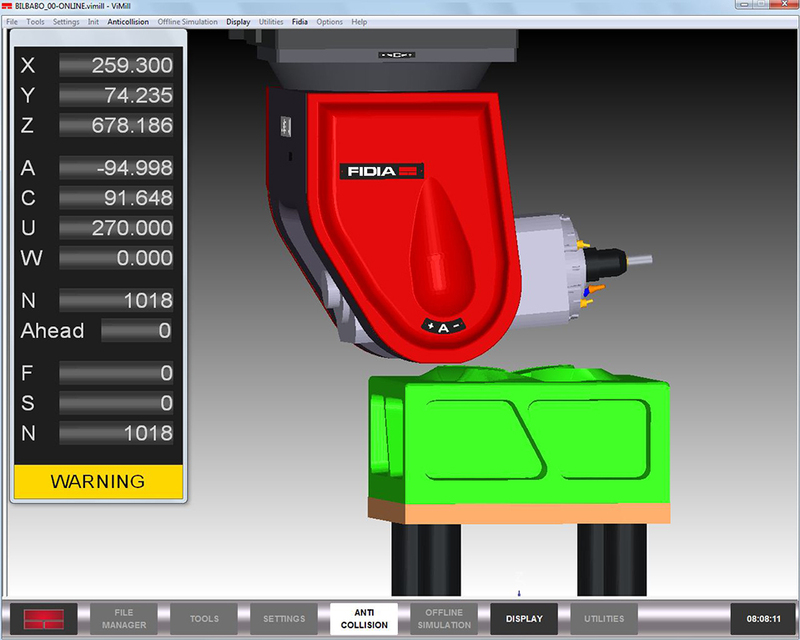 Fidia has developed these ‘plug-in’ modules in partnership with several CAD/ CAM companies. They allow ViMill® to access the CAD/CAM database and get the required data directly. 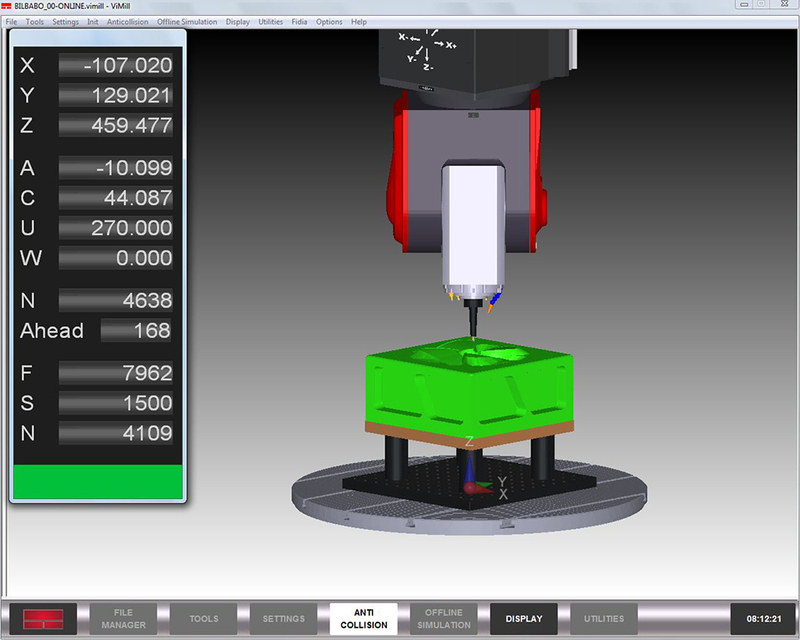 ‘Plug-in’ modules are available for the most common CAD/CAM systems, while specific ones can be developed upon request.